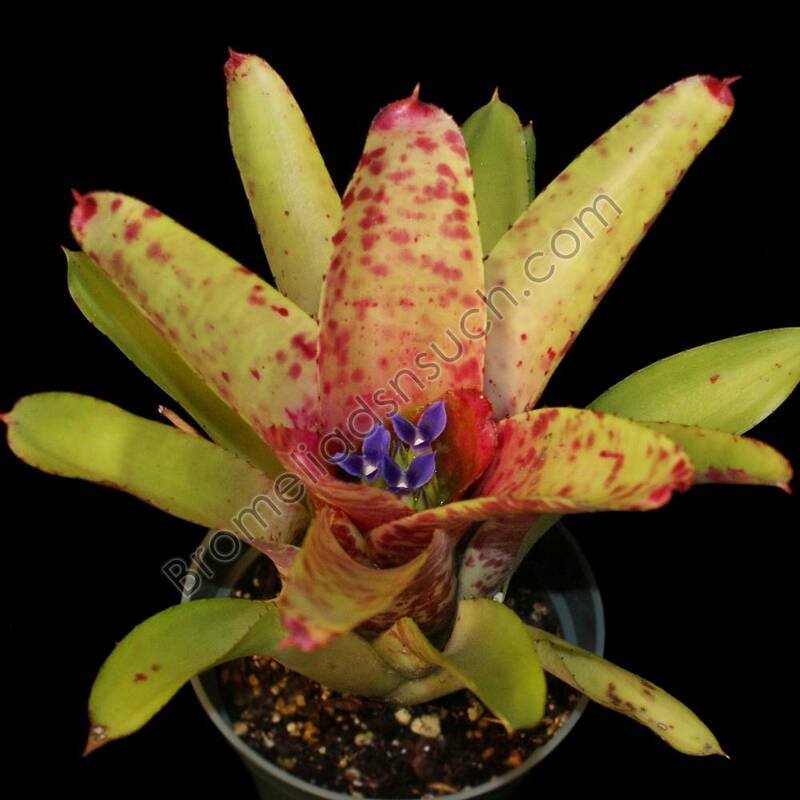 Neoregelia 'Strawberry Hill' is a small growing beauty to about 6 inches tall with light green leaves boldly mottled in strawberry color with pointy bright red leaf tips. The center does not blush during bloom. A Michael Kiehl hybrid of olens x smithii. Maximum Size: H:6" x W:8"